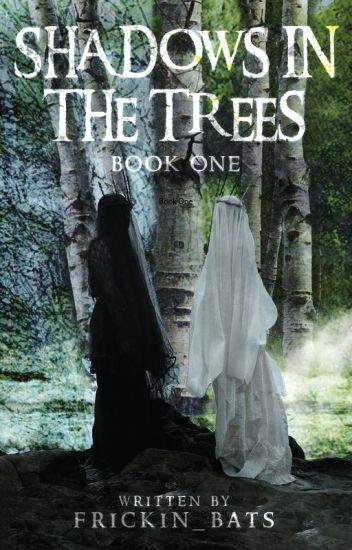 Thousands of years ago, a powerful Fae witch created the cursed White Forest to protect the Sylph and Fae from slaughter at the hands of humans led by the prophet Malachi. Now, the forest unites several characters as their stories intertwine, and ultimately lead them on a quest to save their world as they know it. "My dear, you've been living the equivalent of two lifetimes in one. And at some point, these lifetimes would converge and collide." Themis lightly waves her hand and the blue butterfly flutters out of her hand. "Two lifetimes?" Crystal is highly skeptical again. "Yes, and at some point, you would be faced with a moment of great change. The road will become forked somewhere. And the path you chose to go down would have an enormous bearing on the rest of your life." Crystal's childhood was anything but normal, plagued by strange happenings and tragedies. The person who saved her from depression and isolation was her best friend, Jackson. Now the founder of a highly successful company, she starts finding strange and unusual things happening to her again. Recurring dreams led her to meet a psychic named Themis, who tells her that she was living the equivalent of two lifetimes in one and that at some point, these lifetimes would converge. Themis also warns her that she is in grave danger. There are people who need her alive and there are people who need her dead. But in order to understand her life and who she truly is, she must confront this situation. Soon after her meeting with Themis, she is ambushed by people looking to capture her and encounters the man who's voice she's been hearing in her head. And quickly, Crystal is pulled into a world unlike anything she has ever seen before. This story is about  Alison who hides a deep secret, she is the kind of person that hates showing her emotions. Being eaten from the inside by her secret  hurts her physically and mentally. She however becomes careful and  afraid  when she meets Andrew. Deep within the Earths forgotten past, in a dimension different from ours, lies a story of the Airborn. Airborn are the winged people that ruled the skies. They once lived in harmony with the humans but were sent into hiding far over the sea of sand where no one dared to travel. Centuries later generations have passed for both the humans and the Airborn. Both of them considers the other a myth. Beings that never existed. What happens when a prophecy causes their two worlds to meet again? A girl with no memory of her former life. A boy who might have all the answers, and people who will stop at nothing to get them both back. 16-year-old Ryder, a certified street rat, and skilled thief has always been able to dream parts of others pasts. Nothing intrigues him more than the past of a strange green-eyed girl, running from something terrifying. To 16-year-old Lana, Ryder was just another obstacle in her way. A blip in her path to finding out how she ended up wandering the streets with no memories. But somehow, she's connected to him. Somehow, Ryder knows details about her past that Lana was meant to forget. Lana knows one thing, and one thing only, the people she escaped from don't intend on leaving her alone. The scars up and down her arms tell her that much. Searching for stolen memories, Lana and Ryder discover that sometimes,  it's better to forget than to remember. "I'm a subject to you, aren't I? Funny thing. You're just another monster to me, so I guess we're even."